Everybody knows Mercedes-Benz for their cars but a few well informed know that the german brand has a range of lifestyle accessories with an established clientele. And for 2013, Mercedes-Benz has plans for to prickle another sense other than visual. Last year the brand has released its first perfume for men, created by the renowned perfumer Olivier Cresp of Firmenich. 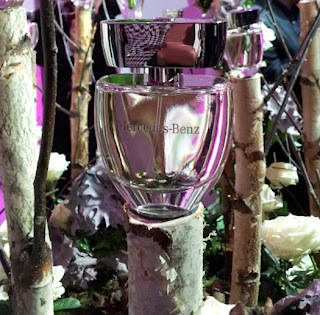 Now the luxury automaker is now expanding its product line with the launch of its fragrance for women. Perfumer Michel Almairac developed the fragrance which combines the top notes from fresh and sparkling chords of bergamot and juicy peach, with the middle notes od delicate and subtle floral notes of mimosa, while the base notes includes patchouli, white musk and vanilla. The revised curved silhouette of the bottle with a enlarged silver stopper is all about minimalistic yet elegant design. Great locations for your vacation rental. Back on 6th August 1962, the British flag was lowered in Jamaica for the last time, and the Jamaican flag was raised to end its 307 years as a British Colony. 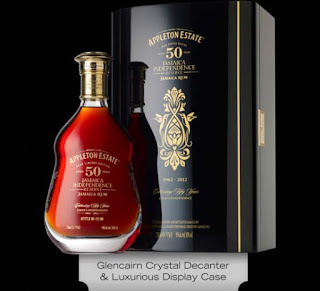 And now, to mark the 50 years of independence, the Appleton Estate Jamaica Rum which has been creating the fiest rum in the country since 1749 has proudly introduced the world's oldest barrel aged rum, the Appleton Estate 50 Year Old Jamaica Independence Reserve. This £2,815 special edition golden rum, limited to just 800 bottles, comes encased in a had-crafted crystal decanter which denotes etchings inspired by Jamaica's national symbols. Described to be a hand-blended and exceptionally smooth, deep mahogany sipping rum, it has powerful notes of cinnamon, toated oak, almond, maple and vanilla resonated with a distinguished hint of orange peel, which is notably the hallmark of all Appleton Estate Jamaican Rum. Foodie and a Halloween fan? From 28th to 31st October, an unusual movie might be in order! 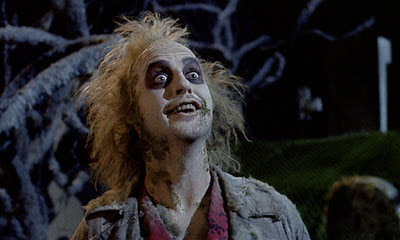 Experience Tim Burton's popular comedy horros Beetlejuice like never before with Edible Cinema. Once seated, the audience is provided with a series of numbered packages, each containing a mystery food. At specific points during the film, placards with corresponding numbers will be shown to the audience instructing them to consume the contents of the packages. The smell and texture will correspond to what's happening on screen, heightening the viewers'sensory experiences of the film and accompanied by the Bombay Beetlejuice cocktail, inspired by the film and created by Bombay Sapphire. You can reserve you tickets here and costs from 28 pounds per seat. Some might say that, concerning tattoos, either you love it or you hate it. But this is false, there is also a third category: the ones that love tattos but don't have the courage to get permanently inked. And for those, Dior has launched a very fashionable and temporary solution. If you want to attend the Holidays festivities with a new not-so-rebel attitude, Dior has released a limited edition collections of 24-carat gold tattos, meant to look like pieces jewellery. 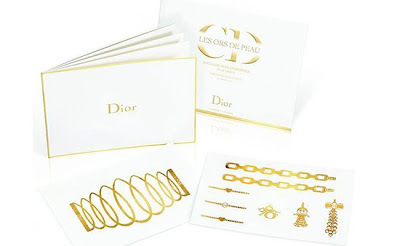 The 80 pounds set of Dior Grand Bal Golden Tattoos includes design of cuffs, delicate rings and charm bracelets composed of gold leafing. Created by Dior jewellery designer Camille Miceli, the sets were made for the brand's Christmas theme based around the idea of a 17th Century Grand Ball. According to Daily Mail, UK airports are trying to make passport control a lot quicker and easier for business class travelers. Maybe you're returning home from abrouad or flying in to visit London, but most people are pretty used to irritating lines that can accumulate while passports are being checked. But this problem can be soon in the past, depeding on the value of the flyer. 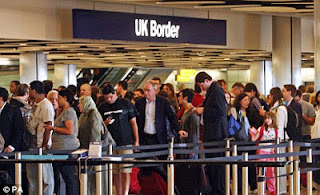 Business travelers and those of "high value" (probably meaning people important to the British economy) may soon be able to "fast-track" their way through the long lines at border control, given priority access at the busy checkpoint. Officials and port operators are still discussing how they can implement the new plansa, but they probably aren't going to come cheap to the customer. American Premium brand Michael Kors has secured a 2,523 square foor store in Convent Garden, adding to its five other stores in the UK. 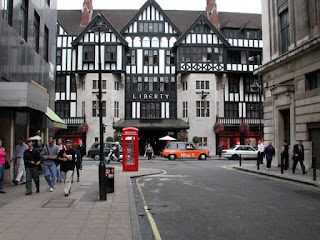 Including the flagship store on Regent Street and its store at Westfield Mail London. The new Michael Kors store will open at 28 James Street, in time for Christmas. Mike Toft, senior fund manager and director of Lothbury Investment Management said: "Michael Kors is a perfect fit for this address and is in line with our policy of attracting high quality names to the prestigious properties in the Lothbury portfolio"
- Since 2004, the designer is a judge in the Emmy nominated reality show Project Runaway. - The first lady of the US, Michelle Obama, posed in a Michael Kors dress to her first official portrait. - Michael Kors started designing clothes at age 19. On a normal trip to Harrods you might go back home with a new purse, a small item of decor for the house or maybe even empty handed. Everybody know that in Harrods you can find almost everything you need and if you are not looking for anything, it is a nice place just to check what's new at one of the most famous department store in the world. 1 - H2 Yatch - $165 million - Since the Qatar's Royal family took over the luxury department store, they are offering super yatchs, in agreement with the well known yatch making company Watkins. Other models are also available. If you like unconventional food you will love Sushinho. Sushinho is a restaurant and cocktail bar that takes its cue from the japanese brazilian culture thriving in Brazil today, since it is the home to the largest population of ethnic Japanese living outside Japan, giving rise to the creation of Japanese dishes imbued with exotic Brazilian influences and ingredients. Sushinho (pronouced su-shee-nyo) is a combination of the word sushi, the well-know Japanese dish of raw fish, vegetables or pickel on seasoned rice, and -inho, an uniquely brazilian/portuguese suffix meaning diminutive, younger, smaller. 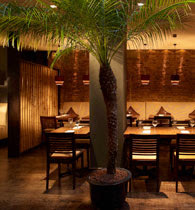 Celebrating this culinary fusion, Sushinho provides you with a warm welcome, great food, fabulous cocktails and friendly service with every visit. The ground floor bar is open every day in conjunction with the restaurant. For reservations call 020 7342 7496 or book you table online here. If you think going Christmas shopping is stressful but needed, there is another option that may relieve the tension of this holiday task. 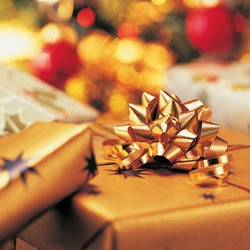 For the second year, British Pullman by Oriental Express gives you a chance to buy your Christmas gifts from luxury british brands on board of the train. Each retailer will have a carriage to create a little shop in. And if shopping makes you hungry, a four-course lunch with wine and Champagne will be served. The trip is a round-trip and the train does not stop. 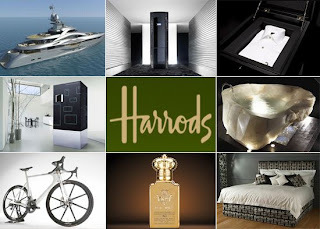 The list of retailers of 2012 was not disclosed yet, but 2011 retailers included Harrods, Brora, Cath Kidston, Signature Boutique by Orient-Express, Ettinger, Miller Harris, Liberty London, Holland & Holland, Astley Clarke, Daniel Sandler and Elenis. The departure is December 6 from the Victoria Station, departing at 11:45 and coming back at 16:30. The price per person is £ 350. For further information go to Orient-Express website or call 0845 077 2222Shopping has never been this easy! First imagined by Coco Chanel in 1954, the Chanel jacket has maintained as a timeless piece in any wardrobe. To honor this iconic (and needed) jacket, The Little Black Jacket exhibition will arrive at London's Saatchi Gallery on October 12, following showings in Tokyo, New York, Taipei and Hong Kong. The idea came from Karl Lagerfield and Carine Roitfield when they were creating a coffee book with friends of Chanel wearing the Chanel "Little Black Jacket", each one wearing it in a different way, reflecting their own personal style. The photographs display the versatility and timelessness of the Chanel Jacket through 113 photographs shot by Lagerfeld himself. During the exhibition, window displays in Chanel's Bond Street, Sloane Street and Brompton Cross Boutiques will also showcase a range of jackets from their latest collection. The book that inspired the exhibition will be available to purchase this autumn worldwide. The exhibition goes until October 28. The Chocolate Week in London - tasty! 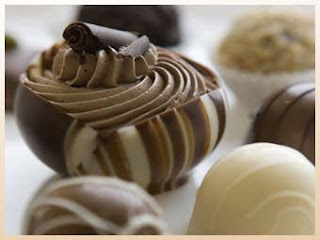 Today, October 8th 2012, starts the Chocolate Week in London. Featuring all prestigious Chocolate Makers, Chocolate Shops and Bakeries in London, the week makes all chocolate lovers anxious for the upcoming events. With so many interesting (and delicious) things to see, one of the brands decided to take it to the next level. Luxury British chocolatier and cocoa grower Hotel Chocolat is holding a supper club during Chocolate Week. Served normally in their Resort in St. Lucia Island, the exquisite chocolate inspired cuisine lands in London for the event. The Time Out London made a complete list of the 100 best places to shop in London, from creaky old icons to Brit classics with genuine heritage, slick concept stores, vintage clothing shops, indie oddities and the biggest and brashest high street stalwarts. Cheval Residences chose 10 "must-go" out of the complete list. Today in the first day of the London Restaurant Festival, and as part of this major event, Kitchen Influentials will see nine of London's finest chefs accompanied by their protégés, family or friends, cooking an exclusive Sunday lunch on the 7th October. Spread across different venues, some of the parings include Cinnamon Club's executive chef Vivek Singh and Michelin starred chef, Eric Chavot; Mark Hix of Hix Oyster & Chop House and Harvey Ayliffe, executive head chef of the Soho House group; Henry Hassis, the Chef Patron of Racine and Valentine Warner, chef, food critic and presenter of BBC's What to Eat Now and Great British Food Revival. 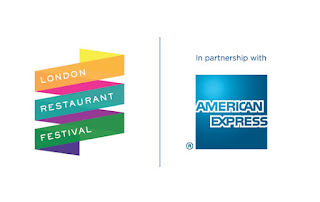 Other participating restaurants are: Le Café Anglais, Kitchen W8, Moro, Bistrot Bruno Loubet, and L'Anima. Expect nothing but first class cuisine, the hard decision will be choosing which restaurant to go! Just a few days after the annoucement of Apple knocking Aston Martin as the new coolest brand in the UK and the launch of the iPhone 5, luxury brands have already started to pop out with bling versions of the brand new smartphone. Whether encrusted with precious stones, Swarovski crystals or covered in precious metals, one thing is certain - there's already a large variety to choose from. 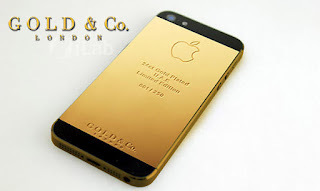 And the british brand Gold &Co have just entered the competition with a heavy competitor - an iPhone 5 available in pure gold. In fact, this exquisite limited edition was announced just 3 days after the smartphone itself was launched. The first iPhone 5 offered in pure gold in the world features 24 carat pure gold and rose gold.